If you’re a non-Spaniard thinking about buying property in or near Barcelona, you’ve come to the right place. We specialize in helping foreign buyers find and buy property in Barcelona and the rural areas nearby. There is no ‘market’ price in Barcelona. Sellers list for the price they want and hope for the best. Negotiating is necessary. There are no guarantees, but having experience negotiating property prices in Barcelona can make a difference. For us to be effective, please do not discuss price with the seller or their agent. Read a true story. Noah, from California, bought a flat near the beach in 2017: “My experience was really good. I looked for about 8 months in Raval, Gothic Quarter, Gracia and Barceloneta. Most of the agents don’t speak much English, so I couldn’t get complete information. I also had trouble knowing if a listed price was fair. 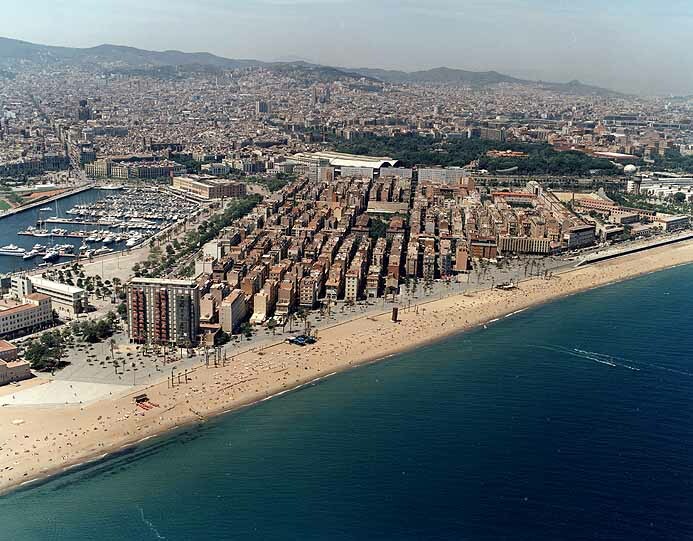 I bought a flat in Barceloneta, a small neighborhood near the beach. When I found the flat, I met the agent and he told me he could represent me and work both sides of the deal. I paid him 1,000€ to reserve it. Later I hired Spain Advisors. Mark found out that the building’s front side (facade) needed repairs. The agent never told me this when I paid 1,000€. We met with the property manager and she showed us the repair estimates. They were expensive. I was shocked as I didn’t expect this. Mark used these costs to negotiate the price down, and he got the furniture included. His service paid for itself. He works with a Spanish tax attorney who helped throughout the deal. They continue to give me advice on taxes and other issues. This is has been convenient and valuable! With a big transaction in a foreign country, I was glad Mark was there to protect my interests. Search tips, pitfalls, tricks, etc. Our goal is to uncover adverse information related to the property, its owner, tax liens, mortgages, the building, etc. Please fill out the form and we'll get started. How would you like the meeting to be? When would you like the meeting to be? Professional assistance locating quality real estate in the Barcelona area. Professional assistance purchasing quality real estate in the Barcelona area. We help you obtain a Spanish ID number (NIE) and an immigrant visa to live in Spain. We open your Spanish bank account, advise on money transfers and on mortgages. My wife and I found Mark as we began our quest to find a second home in Barcelona. Not only were we very happy with the service he provided on the legal front, he gave us invaluable advice as to how to best to look and judge potential properties. the seller’s representatives in all aspects of the closing deal. We encountered unforeseen obstacles when we tried to close the deal, Mark made sure our rights were fully protected and worked with the seller to help them overcome the issue. In the end he was able to close the deal on our behalf after we returned to the United States. 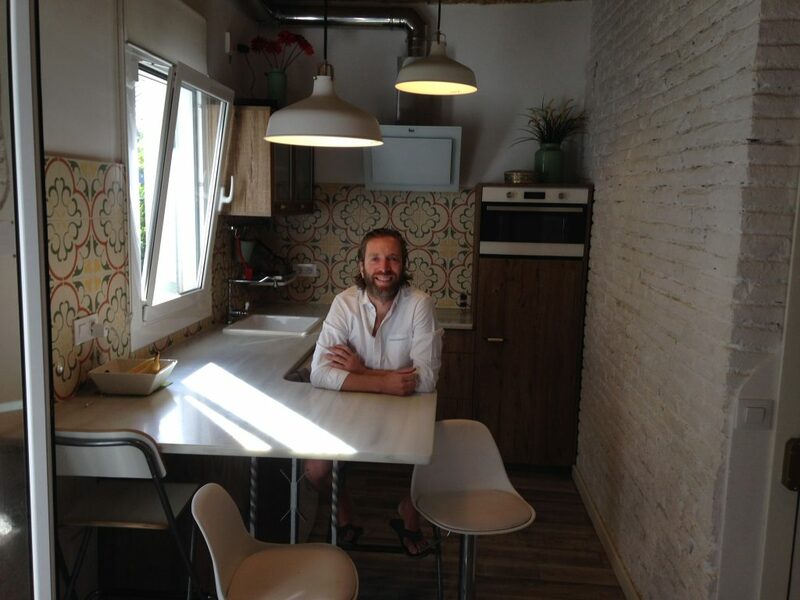 We wholeheartedly trust Mark and recommend him to anyone looking to purchase property in Spain. My experience with Spain Advisors was great, I had no problems at all. I searched for about 2 months and saw about 30. I advise you buy soon as prices are going up. Good flats sell fast. Be sure to check all aspects of the property very carefully, there may be hidden problems without a solution. I am very happy with the property I bought, it was below my budget and it was renovated so no headaches looking for contractors. The purchase went smooth. I would recommend Spain Advisors to a friend, definitely. My wife and I saw about ten flats and met several real estate agents. Their goal, obviously, is to show the property’s positive aspects and persuade you to buy for the listed price. It’s important to remember that they earn a commission of the sale’s price. When we expressed an interest in a flat, they applied some pressure on us to force to a decision. Sometimes after only one visit. Mark’s service removed a lot of this stress and made things significantly easier. He explained to the agent that we were interested in the flat, but wanted to research the property first, then make a decision. Remember, as the buyer, take your time and conduct due diligence on the property, then decide. I would definitely recommend Spain Advisors to friends who were planning to buy property here. So far everything seems great with the flat. They work for the Seller. They are paid a commission of the sale’s price; the higher the price, the higher the commission. They like to move quickly: show the property – close the deal. Going too fast is a main cause of Buyer mistakes. We’re paid by You. We work for You. We negotiate for the lowest possible price. We prod along very slowly. Each document and contract is carefully analyzed to ensure it’s correct. Some agents say we slow things down. We accept it as a compliment. Welcome to our website. We’re glad you’re here and we admire your interest in Barcelona. After years of working in Barcelona we’ve seen more than one foreigner pay too much for their property. Why? They did not have enough information before they agreed to a price. At Spain Advisors we strive for a fair price by insisting on access to the important information you need before you agree on a price. Then you can decide if it’s fair. You want to know what things cost. Straight answers about legal services can be hard to get (we’ve been there). Out of respect for you, we publish our fees. Live your Dream in Barcelona! The Culture, Warm Weather, Cuisine, History. It’s a relaxed lifestyle in an exciting place.